American tuners Technocraft and Famous Autosports have joined together to offer a carbon fiber body and interior kit for the much desired Lamborghini Gallardo. 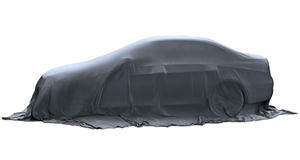 There&apos;s an extensive list of carbon parts for the car that include aerodynamic underbody panels, front bonnet, rear wing, rear diffuser, bucket seats, engine covers, an air box and racing harness. All told, the completed package saves up to around 300 lbs over a standard Gallardo. Still interested? Here comes the kicker: price, with every piece being itemized. For example, the front bumper cover and rear diffuser each cost $4,500. The rear wing alone will set you back $6,800. Yes, carbon fiber isn&apos;t cheap to produce, so the high costs are expected. However, it seems a little strange that an aftermarket tuner is the one adding carbon fiber pieces to a Lambo considering the Italian automaker is heavily involved in carbon fiber research. Just look at the Sesto Elemento concept from the 2010 Paris Motor Show.